Keeping one’s last will and testament and other estate planning documents up-to-date is a critical part of maintaining one’s estate plan. However, merely creating and updating one’s estate planning documents is not enough, by itself, to adequately provide for distribution of every asset. Some assets must be transferred according to documents completed outside of a will. Likewise, the proceeds of life insurance policies are paid to the beneficiaries named in the beneficiary designation form provided by the company, rather than according to the terms of one’s will. If one desires to name or change the beneficiaries of a life insurance policy, the policy holder must obtain a change of beneficiary designation form from the life insurance company. Financial accounts may have either POD or TOD (payable on death or transfer on death) forms that accompany each account. Most financial institutions do not require completion of these forms. 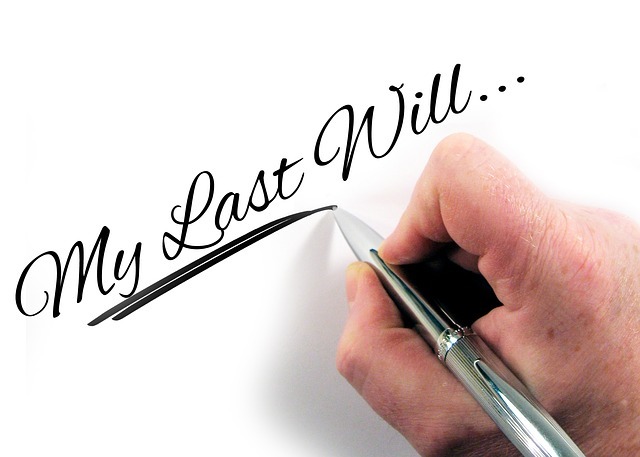 If an account owner never completed the forms and was the sole owner of the account, these assets generally pass according to one’s will or by intestacy. Individuals with specialized investments can rest assured that North Carolina has recognized TODs for securities holders since 2005’s Uniform Transfer on Death Security Registration Act. The Act allows individuals to designate beneficiaries of individual securities, stocks, or investment accounts that hold multiple securities. The assets pass directly to beneficiaries outside of probate if designated as TOD. Alternately, a financial account might be held jointly with right of survivorship. Upon the death of a joint owner, that owner’s interest automatically passes to the surviving owner(s). Similar to ownership of financial accounts, real property may be held in joint tenancy with right of survivorship, in which case the surviving tenants automatically receive the interest of a deceased tenant. How one holds title to real property will affect who receives the property upon the owner’s death and how the asset is taxed. Our estate planning attorneys in Chapel Hill review a few key tax issues with real property title transfers here. Assets held in trust are distributed according to the provisions contained in the trust document. If an individual creates a trust for the benefit of a loved one and later changes their mind regarding the terms of the trust, they will need to review options with an asset protection attorney to determine if the trust may be amended or revoked. Some trusts are irrevocable, but even irrevocable trusts might be modified in certain circumstances. Understanding that some assets require special attention in estate planning can help to prevent estate disputes. This understanding is particularly helpful for individuals at the end of life who might need to make last-minute changes to their will. Plan in advance as often as possible.